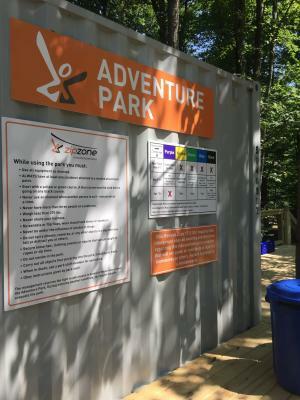 ZipZone is known in the Central Ohio area for their hands free, guided zip line tours, but they have recently introduced their brand-new Adventure Park. 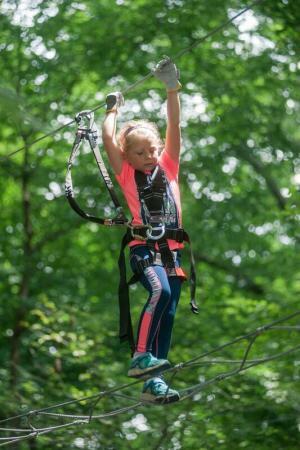 It incorporates all the things you love about the zip line tour, but introduces some obstacles and challenge elements that you can guide yourself through. 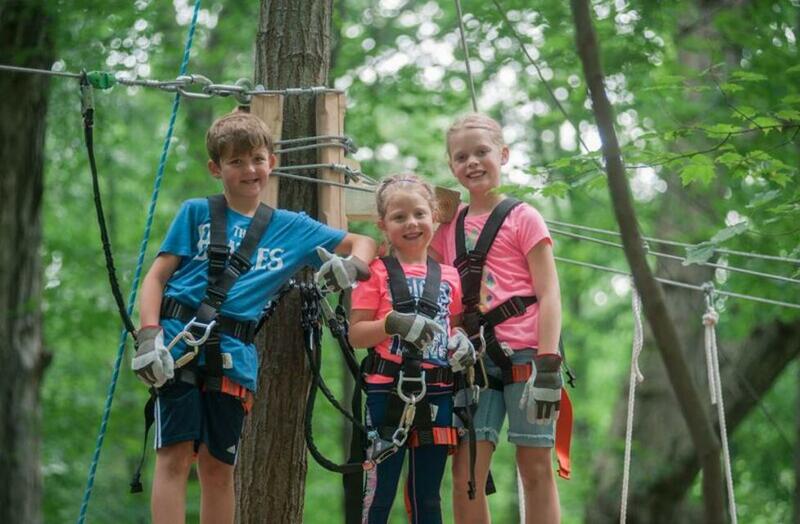 Here are the 5 reasons we think you and your whole family will love ZipZone’s Adventure Park. 1. The courses are easily color-coded to indicate difficulty. 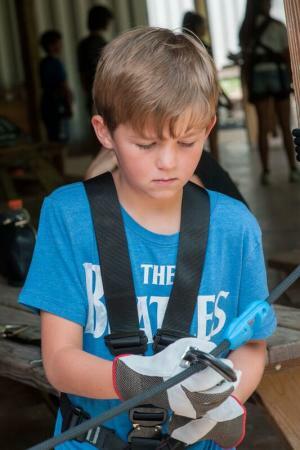 There is truly something for every skill level at the ZipZone Aventure Park. Whether you want to have a relaxing climb in the trees and enjoy the beautiful views or you are looking for a challenge, there is a course for you! Start off on the yellow course, move on to green, then up to the blue course, and on to the black diamond if you are up for the ultimate challenge. The color system makes it easy to identify where to start and the staff are friendly, knowledgeable and willing to help. 2. It is set high among the tree tops at Camp Mary Orton. Driving back through Camp Mary Orton to the ZipZone location, you will feel like you have been transported out of the hustle and bustle of the busy roads, shopping centers, and office buildings that surround it. If you have never been, you will be delighted to see how secluded and peaceful it is. All the obstacles and zip lines are situated at various levels among the trees, providing a beautiful back drop for your adventure! 3. 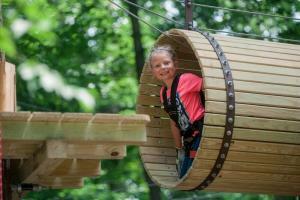 The Adventure Park incorporates zip line elements among 60 different challenge elements. 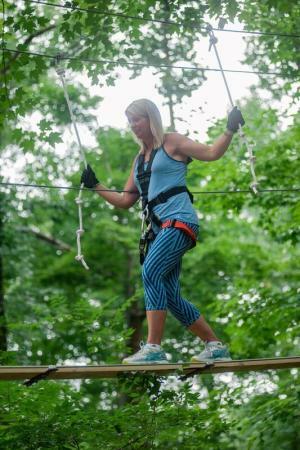 Throughout the different courses in the Adventure Park, you will see 60 different challenge elements, all of which will test different levels and types of concentration and fitness. 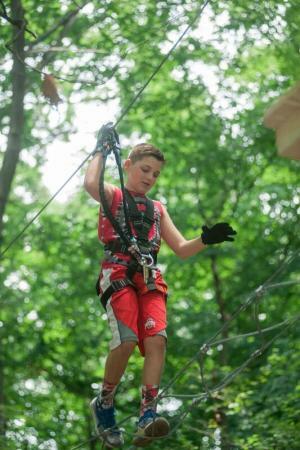 Want to be able to adventure through obstacles but try out zip lining too? You got it! 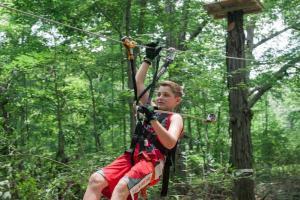 There are zip lines incorporated throughout each level of the Adventure Park. 4. It is self-guided. The Adventure Park is a self-guided experience, so you can make your experience exactly what you want it to be! You can decide which courses you want to go on and in what order. The staff helps you to get your harness and other equipment set up and fitted properly and then takes you through a small practice experience to make sure you are comfortable with the equipment and then sends you on your way! They are happy to help you at any step you need and if you need advice about which course to start on, they are happy to provide it. 5. There is a course just for children ages 4 - 7. When we say there is a course for everyone, we really mean it. There are two kid friendly courses that are lower to the ground and provide age appropriate obstacles for kids to enjoy! These courses include some of the same challenge elements that you see on the larger courses, like tightropes, moving platforms, and rope climbs, but scaled down. While the Adventure park certainly is family friendly, it is also great for groups! Take your friends for a day of fun or have a day out of the office for a retreat with co-workers. For more information about groups, parties, and deals, click here. For more things to do in Dublin, Ohio, click here.